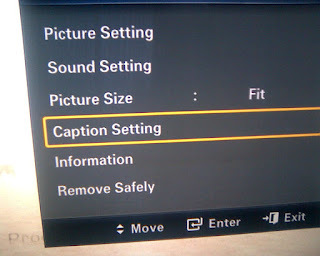 Generally To play movies with subtitle from USB connected to Samsung TV, you have to download the subtitle file (from example http://www.subscene.com/) rename the subtitle file name to be the same (with different extension of course) name as your movie name and you need to select Samsung profile in the console. the thought related to the title here is that some subtitle files with .SRT extension are not recognized by the TV, this is usually because the timing sequence beginning with 0 sequence number instead of one (inside the srt file). To fix this all you need is to remove the line that starts with 0 . I can't get Arabic subtitle to works it appears with separated letters. You mean in sumsung or somewhere else. i will try again . I have uploaded shots by Mobile for the way. anyway try different files, may be the encoding of the file itself. The arabic subtitle is not shown right on my samsung HTS. When i connect a usb device to play a movie on my samsung HTS the arabic subtitle goes wrong? And I want to thank you for your shared thoughts. نفس مشكلة الاخوة .. الحروف متفرقه وبالعكس !! لا اعلم ما هي الحكمة من ادراج العربية بهذه الصورة الغبية ! I know this is a pretty old bolg, but you may be able to provide help about the issue I have. i found solution for broken Arabic subtitle . you need to change your tv region to any arabic region for example EA_ARABIC then it will work correctly how ever to do this you need to have access to extended menu using remote emulator or check with you provider to change tv region. but I do have another problem which is the subtitles size and font look small and weird so please tell me what should I do to solve this one? I have UE55ES8000 samsung smart tv , I can see the arabic subtitles but the letters are separated and are from left to right . to change your tv region to any arabic region for example EA_ARABIC then it will work correctly how ever to do this you need to have access to extended menu using remote emulator. how to change to extended menu using remote emulator ? 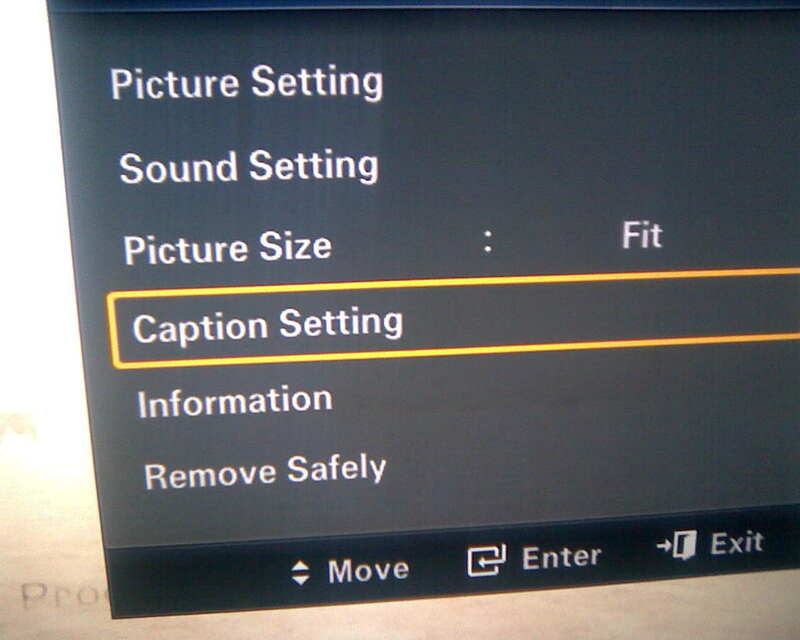 Thank you all for sharing your experiences ..
"I recently bought a samsung smart tv model (UA40D6000SN), Arabic subtitles just works out of the box (of course I had to set the language to arabic first), BUT I have a weird issue with it during playing .. when there is a kinda long line, the tv shows few words and then append 3 dots to the end of the line, but it never displays the following part of the line, and just skips it to the next one !! did any one face this issue before"
same problem with my ue32c6000. did you have any solution? I don't know if this is the right place to ask this question, but I will ask anyway. The Arabic subtitles are displayed with strange characters (maybe Chinese) on my (Samsung Galaxy Tab2 10.1inch P5100), is there any setting or program that will display them in the correct characters (I mean Arabic)? ?